Smartwatches are growing in popularity, and for good reason – these pieces of wearable tech offer significant convenience benefits over a regular watch. Just as quartz watches put an end to having to wind up your timepiece every night, so smartwatches have added a whole new dimension of versatility and usefulness to that thing you wear on your wrist. If you’ve seen your friends wearing smartwatches, it’s natural to feel concerned about ‘falling behind’ in the world of constantly evolving tech. Aside from that though, here are some other reasons why buying a smartwatch could be a very smart decision. That’s right, price. Despite the expensive reputation of market-leading smartphones which has carried over to smartwatches, the fact is simple – you’ll pay a similar price for many mid-range watches as you will for a modern smartwatch. Furthermore, smartwatches are only going to decrease in price as the market becomes more crowded – watches, particularly mechanical ones, aren’t advancing in terms of either technology or competition the way smartwatches are. Within a year or so, having a tiny computer on your wrist could well be more affordable than a mechanical solution. Many new smartwatches have taken to emulating traditional watch form factors – the LG G Watch range or the Motorola Moto 360 are prime examples. But for each of these devices, there are models which bring their own distinctly modern approach to watch design, one which no doubt will appeal to a wide range of customers. The watch ranges sold by the likes of Apple, Samsung or Pebble (to name a few) are blazing their own way. Using square screens, innovative control systems and sleek, minimal designs, many smartwatches are ushering in a whole new era of watch design – one which could well become the norm within the coming years. Of course, the single biggest reason to get a smartwatch is the sheer number of amazing things it can do. With a growing number of watch-optimised apps on Apple’s App Store, Google’s Play Store and from other manufacturers, smart watches are realising their true potential as devices of the utmost convenience. Maps and navigation, text messaging, calls, fitness tracking, music and audiobooks, drawing apps, even location-based games – all are available on modern smartwatches, which you can also pair with your mobile phone to access your files and data on your wrist. If this sounds futuristic, that’s because it is – we’re living in it. 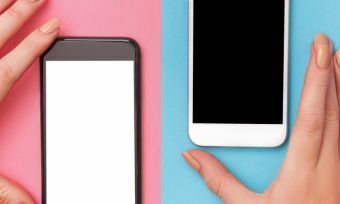 What’s more, consider when smartphones were first emerging – few people could have predicted the sort of things we routinely use them for today. What kind of tasks will we be accomplishing with our superpowered watches in just a few years?